Vanilla Caramel tea. It tastes like a mixture of black tea and a cappuccino when you add some creamer to it. This tea has brought a smile upon my face every time I sipped it. 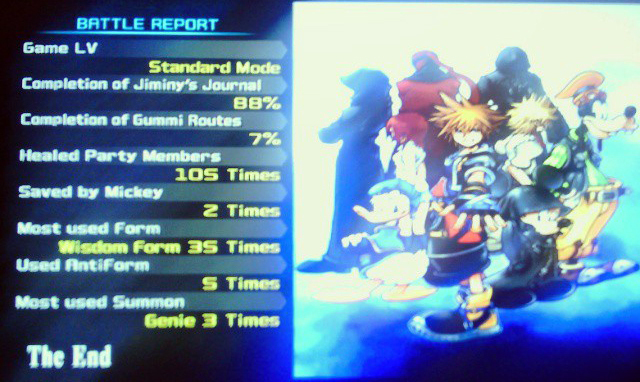 Kingdom Hearts 2. I completed this game over the weekend. I have only recently got into this series, and slightly regret that I did not get to play it sooner. Though this game made me cry a bit, it has a lot of great uplifting moments and a lot of Disney. Wrath of the Cosmos. There is a card game that I absolutely adore called Sentinels of the Multiverse. They have had a lot of trouble getting this expansion printed and shipped. Fortunately, the Greater than Games crew (the guys who created Sentinels of the Multiverse) just announced that the expansion is in their warehouse and will be shipped here soon. If you are wanting a new card game to play, I highly recommend looking at this cooperative hero-based game.